"A strong piece with subjective-documentary power," Argentinian film maker Jeanine Meerapfel about (IM)POTENICA. Performers: Tamara Saphir, Juliana Piquero. Producer in Buenos Aires: Paula Baró, Martín Fernandez. Producer in Berlin: Hendrik Unger. Technical Director: Fabian Lehmann. Stagedesign: Annesofie Norn. Assistant Stagedesigner: Moh Portuondo Alvarez. Music: Timo Kreuser. 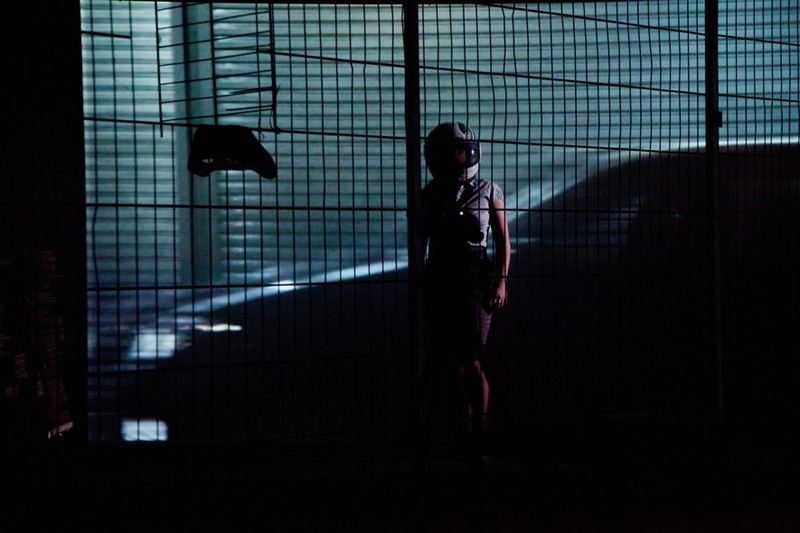 Artistical and technical realisation: Kerstin Ergenzinger. Concept and realisation: Veronika Bökelmann and Anett Vietzke. Assistant Realisation and Dramaturgie: Lea Kalinna. 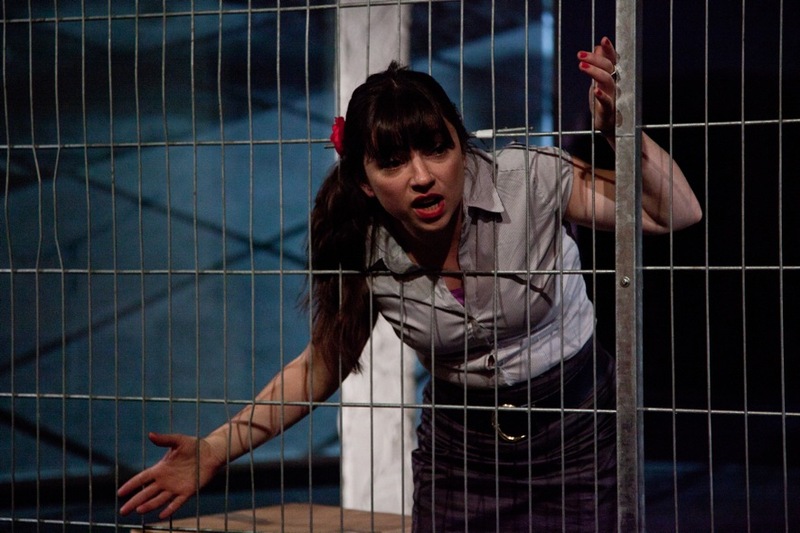 Dramaturgie: Tatiana Saphir. 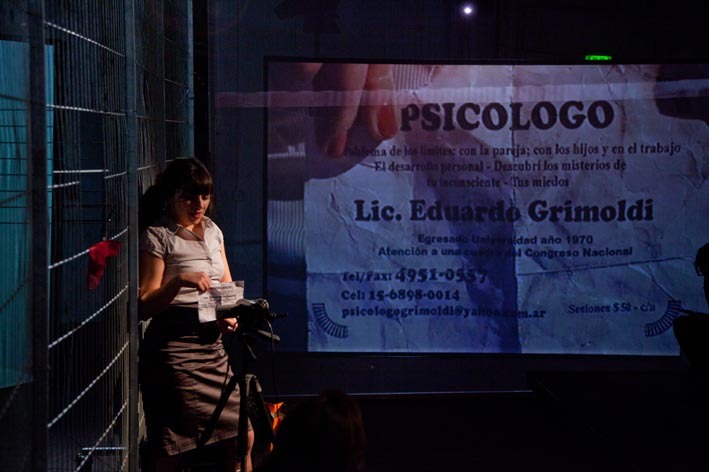 (IM) POTENCIA is a documentary theatre play dealing with the loss of identity of the people in Buenos Aires after the complete economic crash in 2001. Like no other place, Buenos Aires represents the fragile balance between individual life plans and their dependence on global economic systems. Today the architect Nestor Piquero (58) describes 2001 for his family and himself as a period of anxiety, impotence and hope. More or less over night thousands of people there lost their savings, perspectives and self-perception without any stately protection. Argentina, which always had felt closely connected to Western Europe, suddenly became a ‘Third World Country’ of South America. Consequently fear and the absence of safety but also arising dreams have manifested themselves in biographies, architecture and daily life. Nowadays life in Buenos Aires raises questions that mirror the European anxiety to lose financial and idealistic securities: What happens to people in an economic crisis? If the only certainty is, that you cannot rely on anything anymore, what does one dream of? 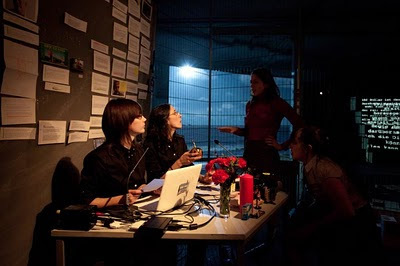 Base of the performance are interviews with the inhabitants of Buenos Aires, the personal experiences of the authors and performers, images, sounds and objet trouves as subjective-documentary descriptions of everyday life in the post crisis of the metropolis. Urban culture of the so-called ‘first’ and ‘third‘ world functions as a two-way distorting mirror for transformation processes within society. The performance is a collaboration with the Marstrand Festival VOL II at Black Box Teater (Oslo) and Sophiensaele (Berlin) and Residencias del Sur (Buenos Aires). 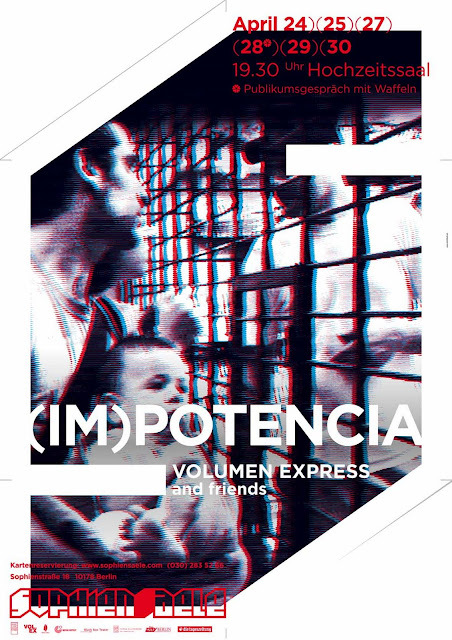 (IM)POTENCIA is supported by Hauptstadtkulturfond 2010 (Berlin), Fritt Ord (Oslo), Norsk Kulturråd and Norsk Kulturråd Scenetekst (Oslo) and Goethe Institute München and Oslo. Based on interviews with: Teresa Petrana Alaguibe, Marta Bodo, Walter Christian Citzenmaier, Lic. Eduardo Grimoldi, Claudia Rosenberg, Nestor Piquero, María Graciela Ponce, César Saldaña, José Saphir. Actors off-stage: Gabi Ditisheim, Laureano Lozano, Maria Pia Poveda, Ignacio Sandoval, Maria Valeria Thompson, Juan Manuel Aranovich, Paula Morgan, Nicolas Malusardi. Thank you: Mariela Arzadun, Tatiana Saphir, Kiosko Corrientes: Rodolfo Freire, Gustavo Zarate, Francisco Franek. Kiosko Boedo: Christian Sanchez, Gladys Varas, Susan Córdova, Lesly Córdova, Jorge Durand, Melody Sánchez, Yislei Ponce, Gerardo Naumann.